Each year, hundreds-of-thousands of children see their families altered by the pain of divorce. Child custody matters are the most numerous in our family court systems today. Every child custody case is unique and complex. They are affected by parents’ post-divorce living arrangements, job situations, the level of conflict between the two parties, and so much more. Without question, the long term physical and mental health of children is heavily impacted by how well their parents communicate and cooperate after divorce. When both parents focus primarily on the children in the aftermath of a divorce, operating cooperatively, the faster the children will adjust and the more well-adjusted they will be over the long haul. When one or both parents are of the high-conflict variety, the outlook for the kids isn’t so good. Still, provided one of the parents is “normal” and directing their attention to minimizing the negative consequences for children after divorce, the better off they will be. The better off you will be, too. Child custody plans worked out by parents without family court intervention is the best outcome. However, it’s unlikely that you’ve landed here if that’s the case in your situation. Family court decisions will always be allegedly done in the exceedingly vague “best interests of the children.” Basically, decisions regarding child custody cover two primary areas of concern: physical custody and legal custody. With legal custody, that parent is awarded the right to make important decisions about the child’s upbringing, including the children’s education, health care, religious affiliation, childcare arrangements, among other things. 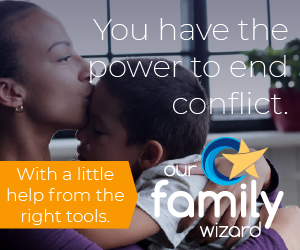 With exception of situations with extenuating circumstances, you’ll most like see joint legal custody (both parents have decision-making authority) or joint legal custody with one parent having final decision-making power. The latter is really sole legal custody couched in joint legal custody language. With physical custody, the children’s physical living arrangements are governed by the final child custody order or child custody agreement approved by the family court. There are a wide array of different physical child custody arrangements you may have seen or heard about. Sole physical custody occurs when one parent voluntarily relinquishes physical custody to the other. In many cases, there are some serious concerns about parental fitness or other extenuating circumstances that would see family court award sole physical custody to one parent. There is equal parenting (or shared parenting) involving 50/50 child custody or something close to it. Then there is the most common child custody arrangement which is unbalanced with one parent having primary physical custody and the other parent being the non-custodial parent.